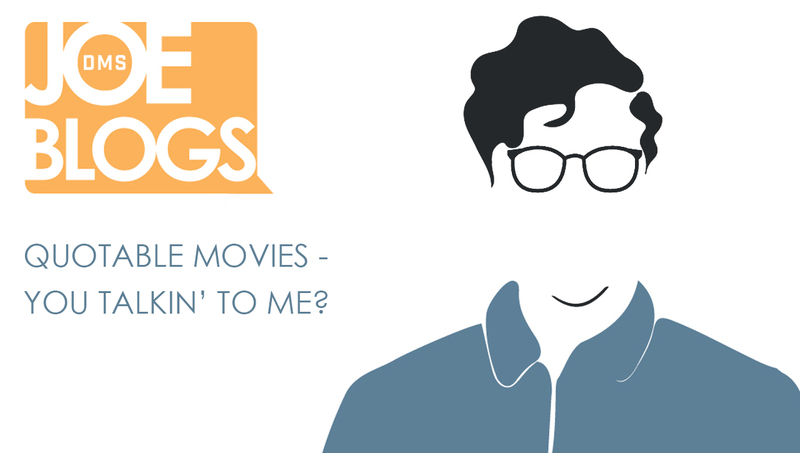 JOE BLOGS: Quotable Movies - You talkin' to me? We recently had a movie and pizza night at DMS where the team could mingle in front of a classic movie and bond as a group. Now, when word got around that we were watching Top Gun, the response was completely as expected; enthusiastic faces leading a chorus of, “I feel the need. The need for speed!” and, “You’ve lost that loving feeling” could be heard bubbling away over lunch. But why was that to be expected? Well, aside from the fact that Top Gun is so delightfully unafraid of being cheesy, it has so many lines that stand out as ‘quotable’. When we finally settled down to watch it, there were points that practically broke into group karaoke and with it came a feeling of togetherness that got me thinking about why we love to quote films at each other. Firstly, let me start by saying that not every movie is quotable and that being quotable is not a mark of how ‘good’ a movie is. You can talk about how moving you think Eternal Sunshine of the Spotless Mind is until you’re blue in the face, but it won’t get a group of people who have nothing else in common mouthing along with it like Anchorman will. 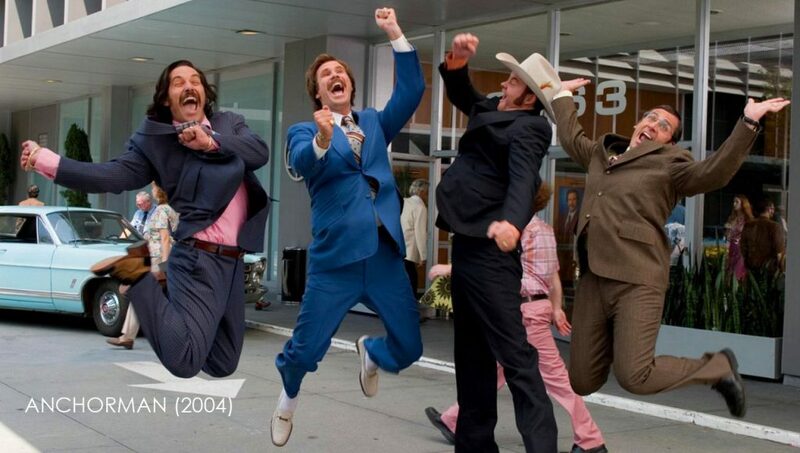 Having said that, Anchorman is awesome and I’ll have words with anyone who says otherwise! I’ll take a coffee mug with “LOUD NOISES” written on it over a creepy t-shirt that says “This is the first time I met you” any day. 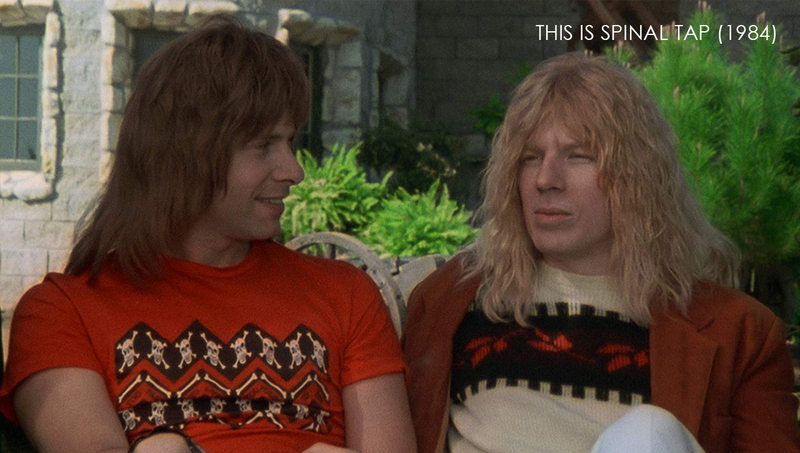 Secondly, though it seems to proliferate around comedies like Ghostbusters (“We got one!”) and This is Spinal Tap (“He died in a bizarre gardening accident”), it’s not limited to the funnies. Classics like The Shining (“Here’s Johnny!”) and The Godfather Trilogy (“I know it was you, Fredo”) also have some lasting gems. I asked the staff at DMS what they thought and Jason Bhatti, one of our Broadcast Monitors, believes action movies from the 70s and 80s are the best at one-liners whereas Aaron Truss, Senior Technical Team Leader, once re-enacted the parking lot scene from Back To The Future word-for-word in front of a bewildered pub. But that’s just showing off. However, Francesca Kluessendorf, one of our Graduate Technical Operators, says that “Mean Girls is on the top of my list of quotable movies… ‘You can’t sit with us!’ will forever be a girl group’s most overused Instagram caption… When a movie can be recognisable by a single quote, you know you’ve done something right, as it’s a Universal form of film appreciation. In my opinion, they are the key to pop culture longevity (as well as countless memes and GIFs to keep us entertained forever).” This phenomenon then, is a constant in our company culture and forms an integral part of our identity. I love watching how people act when they hear someone repeating a popular line they know. They could be leaving a room and overhear a conversation start to kick off in a group of colleagues; a quick look over their shoulder to make sure nobody has noticed their sudden about-turn and they’re in there with a quote of their own. It’s like a conversation we have with each other; “Sanka, ya dead?” “Yeah man.” But what we’re really saying is, ‘Phew, I’m not alone in the world! Someone understands me.’ It’s a very useful way of bonding with new people, which in a company that’s growing as fast as ours is, becomes a necessity in every day life. What’s really fascinating is that the biggest emotional response tends to come through reliving things we saw as children or teenagers. Someone at the lunch table says, “Get in ma belly!” and you can see all the millennials and generation Xers perk up at the reference, instantly aligning their colleagues with a treasured formative memory, as if they had actually been there with them. All of a sudden we’ve got something to talk about for a few minutes other than this deadline or that meeting. Superficial? Yes, but so what? The greatest thing about quoting movies isn’t even discovering someone else is on your level, it’s the ‘newbies’. 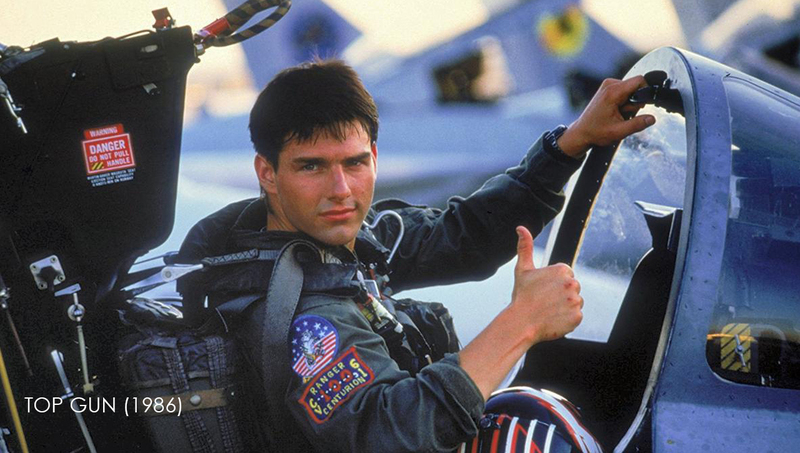 When we watched Top Gun there were a handful of people who had (gulp) never seen it before! A situation like this can be a little hard for people to get involved with if they have no idea what everyone is going on about, which is why, before we hit the play button, I was heartened to see those who had seen it, emphatically summing up the brilliance of it in their own words as sort of crash course in ‘how to enjoy Top Gun’. It was charming to watch the uninitiated become the initiated with their first wry smirks at the cheesy telling off Maverick and Goose receive at the start of the film, to seeing them fully joining in the chorus of laughter at perpetually sweat-soaked pilots wearing nothing but towels, smouldering at each other in locker rooms. By the end of the movie they had joined the gang and were perfectly qualified to quote along with the rest, such was the excellence of the film’s hooky dialogue. And like that, everyone in the room was a little bit closer. Hope you enjoyed that folks, now we want to hear from you! 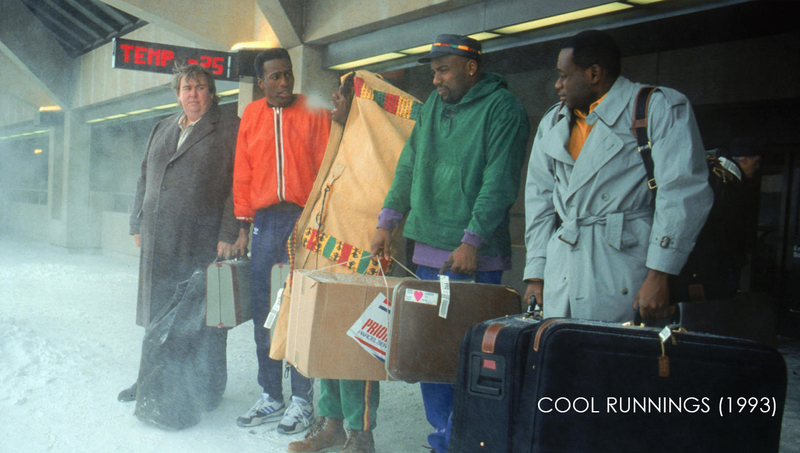 With Christmas approaching, we’re wondering what the best Christmas movie is. Follow the link to our survey and tell us what you think! Halloween Movies…What Are We Afraid Of? Image Copyrights: Image copyrights belong to the relevant Studios. 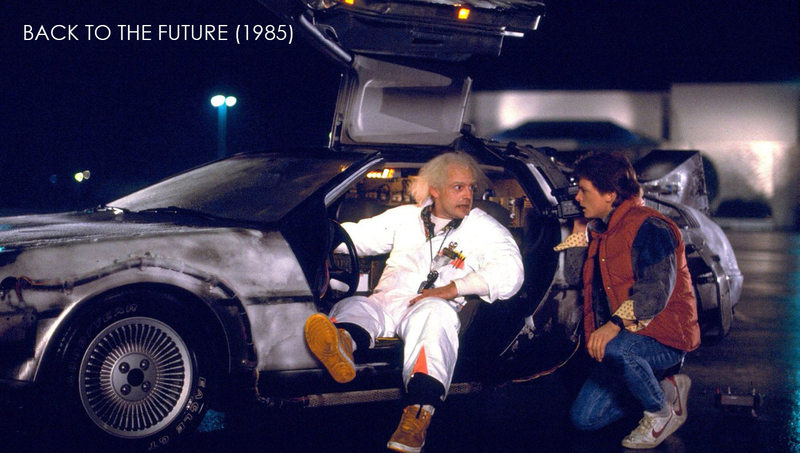 This article: Top Gun – Paramount_Pictures 1986, Dreamworks Pictures 2004, This is Spinal Tap – Embassy Pictures 1984, Back To The Future – Universal Pictures 1985, Mean Girls – Paramount Pictures 2004, Cool Runnings – Walt Disney Pictures 1993.